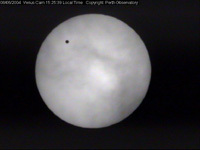 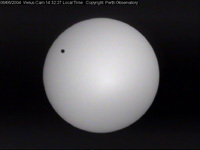 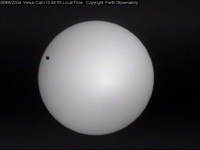 Syzygy: View the Transit of Venus Online - The safe way! 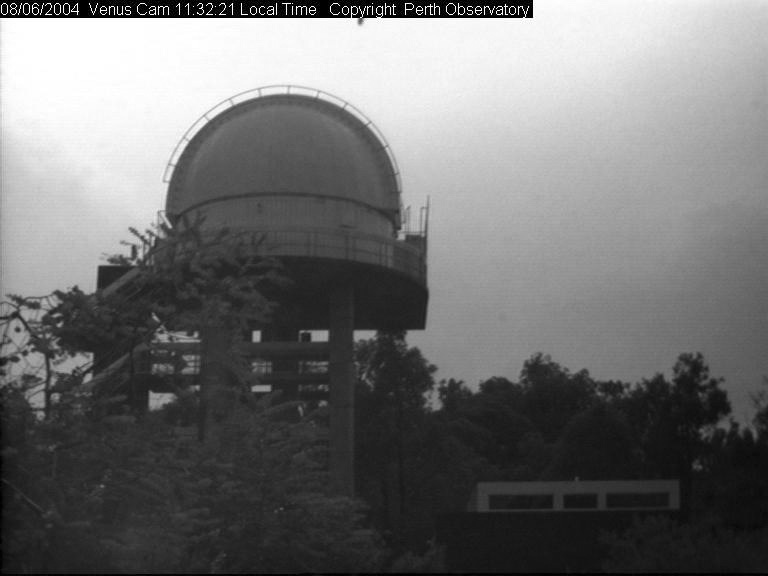 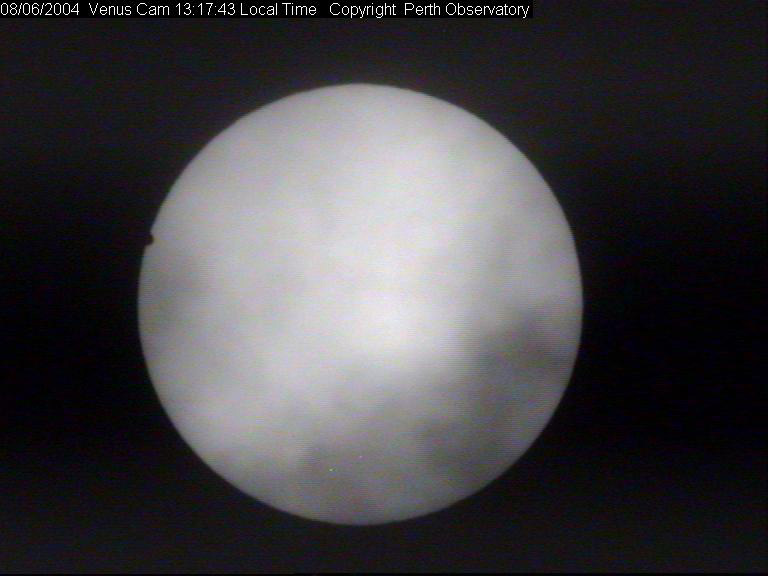 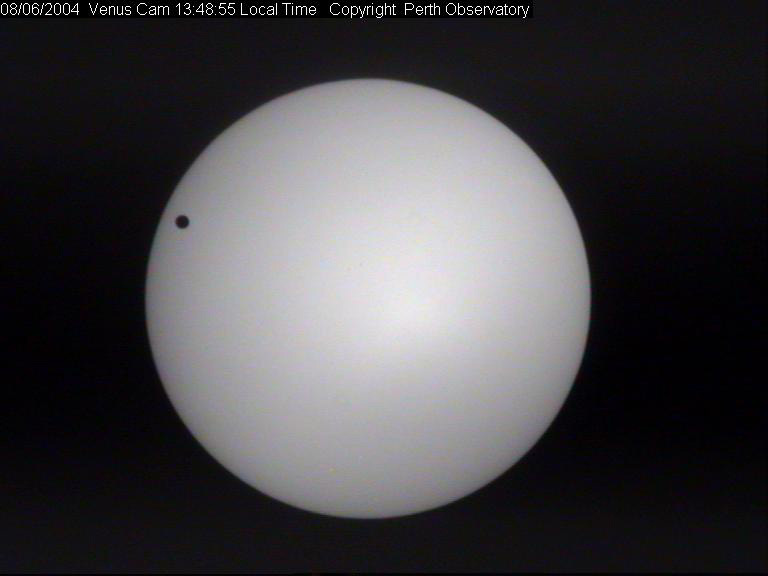 On the 8th June 2004 this site acted as a mirror for images of the transit of Venus captured by the Perth Observatory. 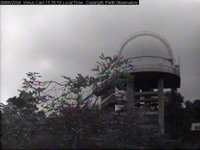 Unfortunately the weather wasn't the best. 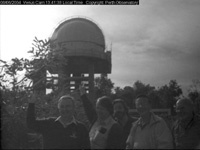 The event is now over but the movie of the recording is available in two sizes along with a number of images. 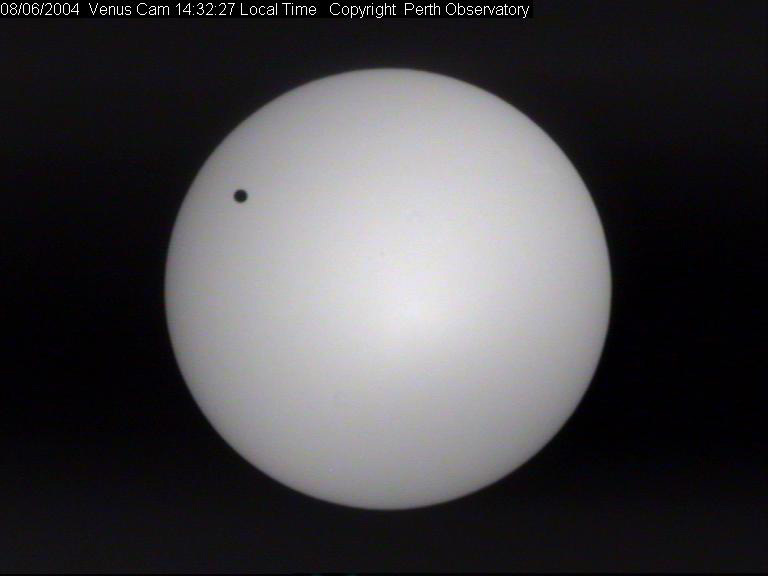 During the event this image was automatically updating every couple of minutes. 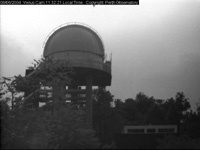 Snapshots - Click on them for full size images.